Slovakia has a number of internationally known spa towns, whose curative mineral water is used in the treatment of illnesses of the motive system, digestive tracts and post-operation recuperation. 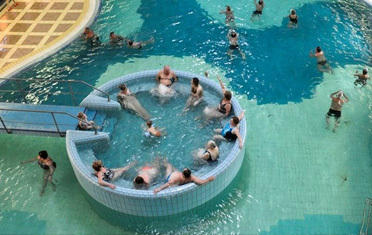 The best known of this spas are in Piestany, Trencianske Teplice, Dudince and Bardejov. On our tour, The Caves Expedition, we will introduce you to some of the spa towns, as most of the accommodation on this tour is located there.